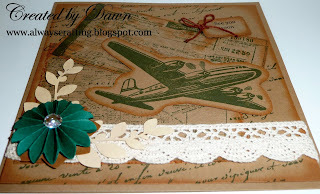 During my visit with my mom, I bought some Tim Holtz stamps. They were just begging to be used... :) So today, I made this card with them. It will make a great card to send to my mom to let her know I will visit again soon. 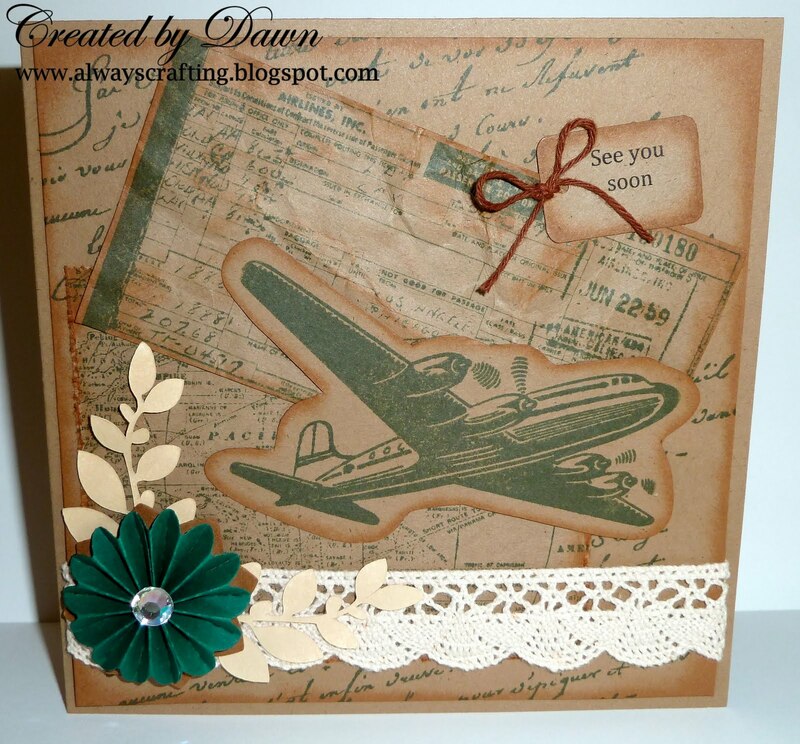 Thanks for sharing it with us at The Crafty Pad this week for our distressing/ tearing challenge! This is a lovely card Dawn, that flower is great. This is a lovely vintagey card Dawn :) The touch of lace really makes it special.